Discussion in 'Some Assembly Required' started by SCR100, Feb 1, 2018. I picked up a 1980 GS550E for $100. 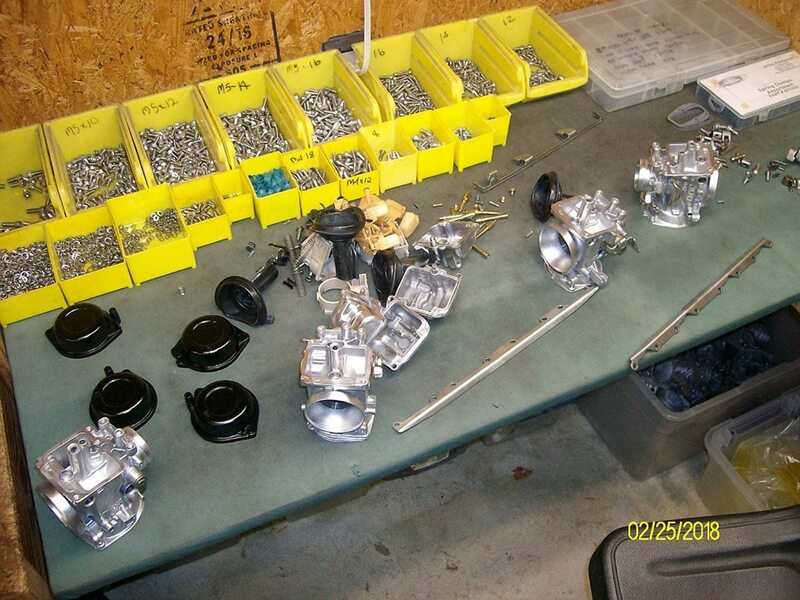 Set about getting a title and making it legal and started ordering a few parts for the rebuild. 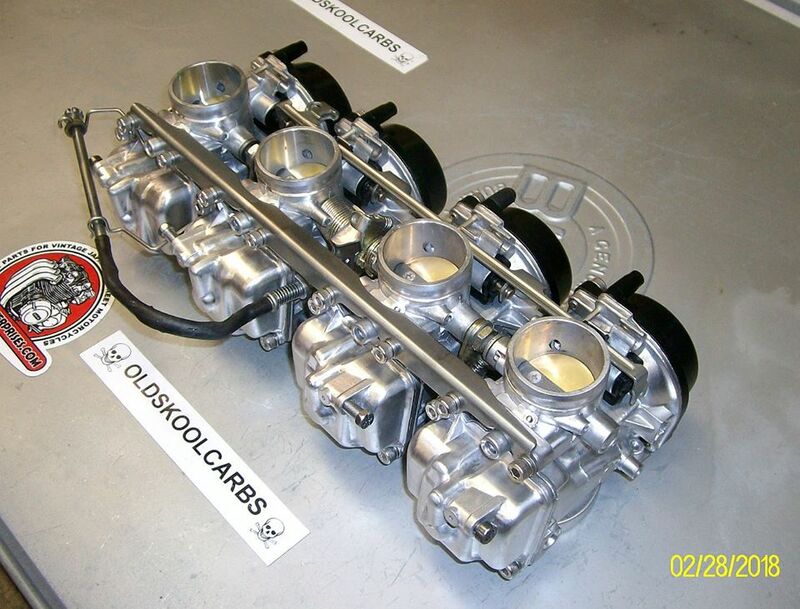 I learned about combining the 550 engine with a 650 top end and, while reading on that, I found out about the GSX750F swap. There seems to be a few people who've done it but actual information is scarce. Screw it, guess I'll learn as I go! 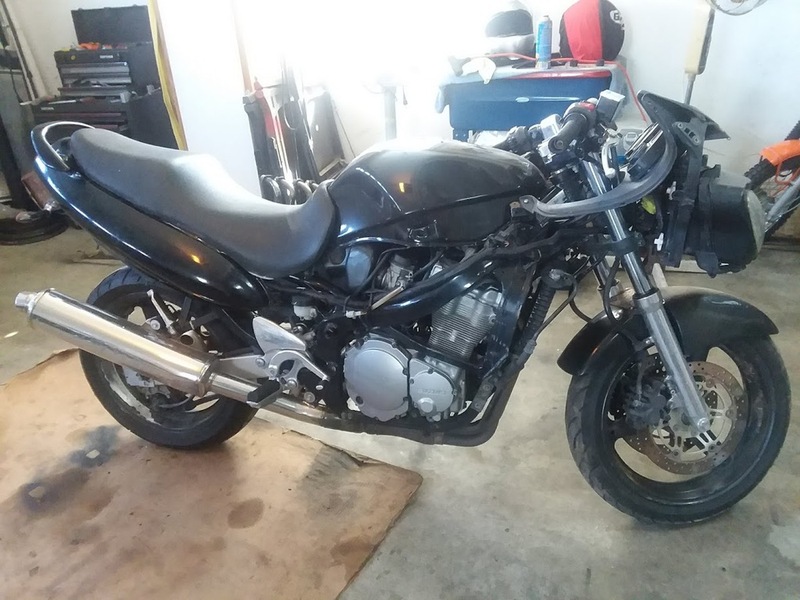 I found a more or less complete 2000 GSX750F (Teapot to you guys, The "K" word over here in the states) and snagged it. Here are the two donors. 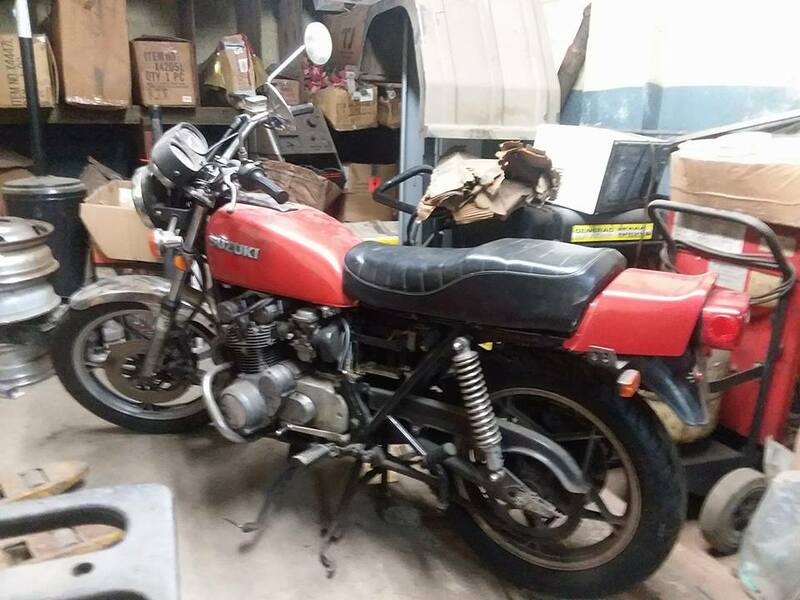 1980 GS550E. Super oily engine, major wiring harness issues, etc. But I think it's a handsome bike. Or, could be. Not running. 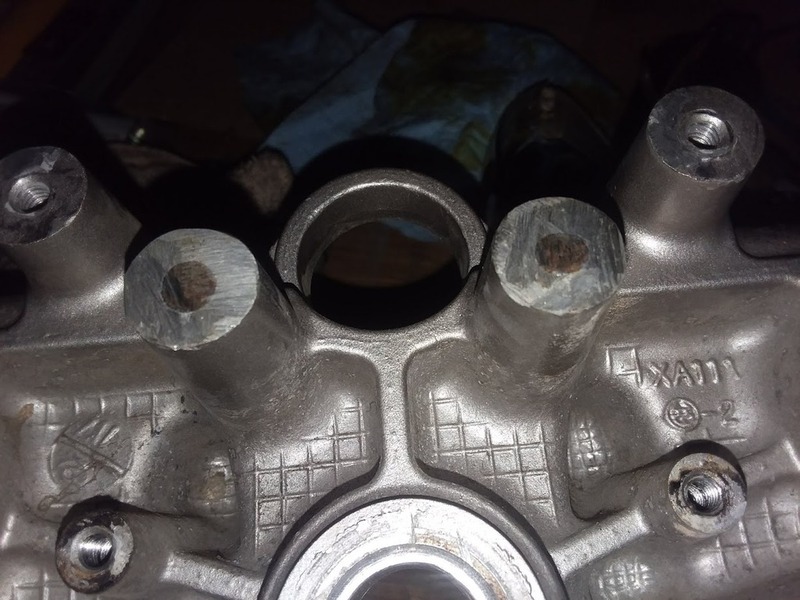 Says the carbs and tank got dirty (and I see evidence of that) and he burned up the starter trying to get it to start. But the engine is clean, wiring harness doesn't seem hacked up, except for some of those hideous LED strips, and I have front and rear suspension I can play with. 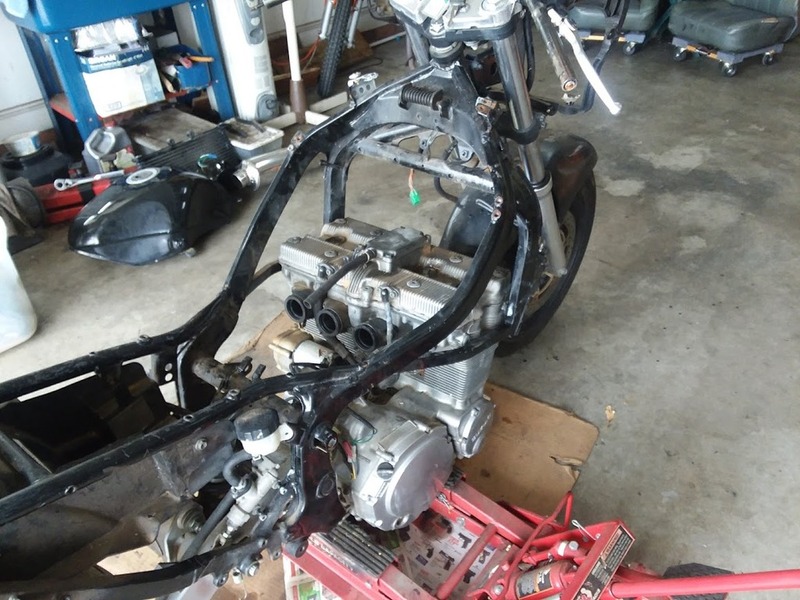 The GS is already stripped down to a rolling chassis. 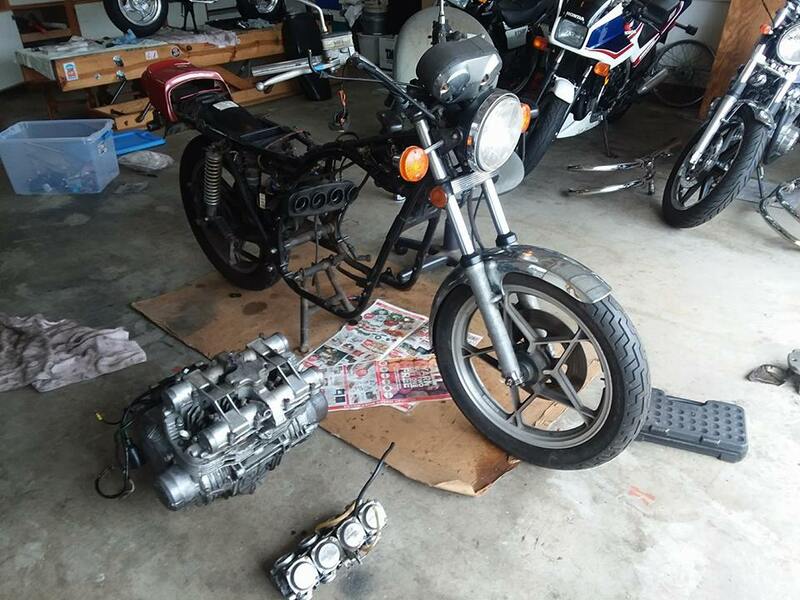 I started stripping the 750 yesterday and should have the engine out today or tomorrow. I know there are two ways to get the 750 engine in the 550 frome; front mount or rear mount. 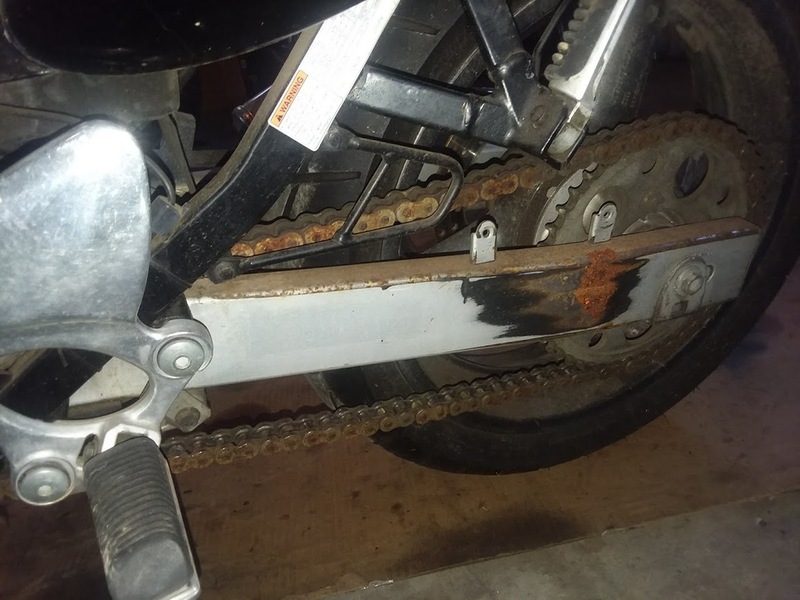 My plan as of right now is to go with the rear mount method for better chain alignment and then use spigots up front to the the exhaust to fit. I'll also have to figure out how to get this oil cooler onto the 550 frame. The 750 is the model that has an electronic speedo, with a pick up on the sprocket cover. 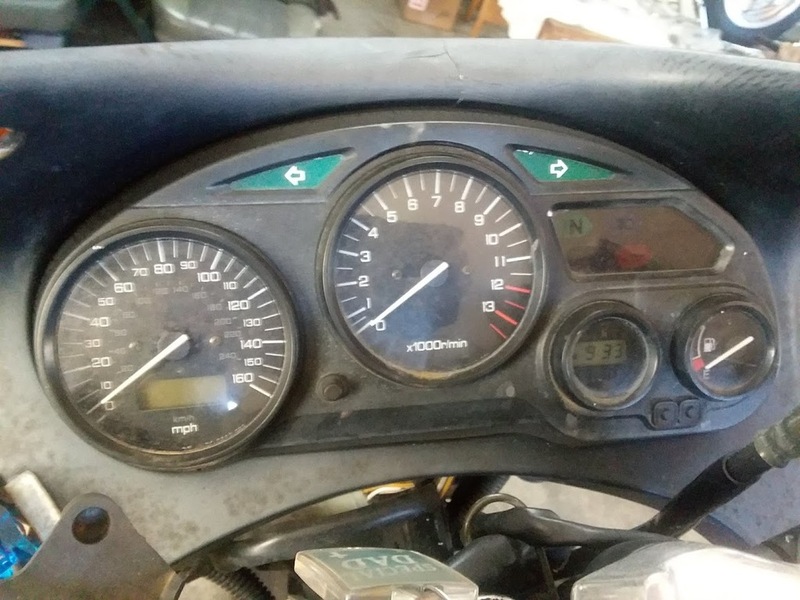 At the very least, I'll save the tach and speedo and come up with some new buckets or dash to hold them. I need to find out what this does. 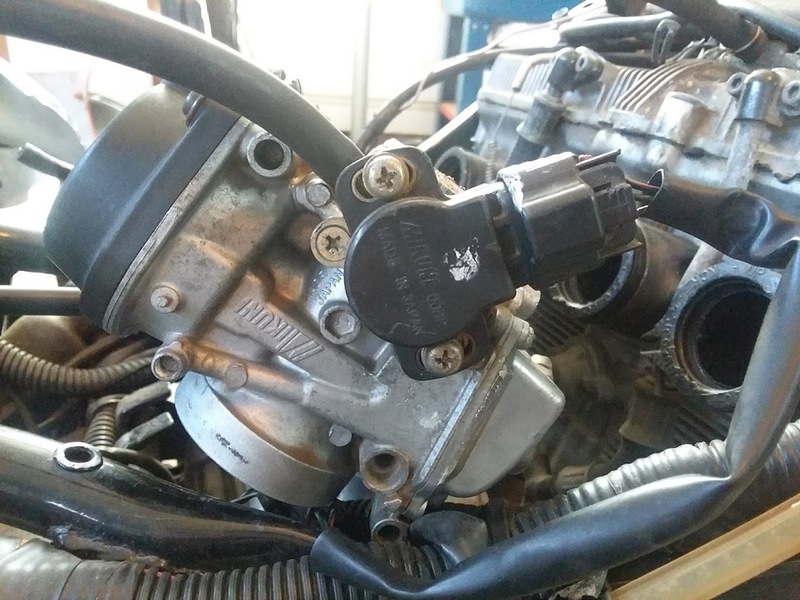 I mean, I know it's the Throttle Position Sensor, but what does it actually DO, other than sense throttle position? I was told that, technically, it's not necessary for my swap, but I am clueless about how it's used on the 750. What does it effect? Timing advance or anything? I also found that one of the vacuum ports on the carbs was open to the environment and the choke cable was fubar. Those things might have had a little something to do with his carb problems too, huh? I had already ordered Sonic springs and emulator valves for the 550 forks before I learned of this swap. I think I'd be better off making the Teapot front end fit. Much better forks and brakes, even though the front brakes are dragging and the rear is inop at the moment. And I have to decide about the swingarm. It's steel, and I'm not sure if I want to go mono shock or duals. That also brings up the question of the controls. The rear brake and footpegs on the 550 should work, but I'm not sure about the shifter. I'm hoping I don't have to get into rear sets or GP style shifts. Got the wiring harness out and the engine dropped. Just waiting on some more hands to help get the frame off the engine. Can you explain the front mount/rear mount methods a bit more? Sorry, I'm not really understanding that part. 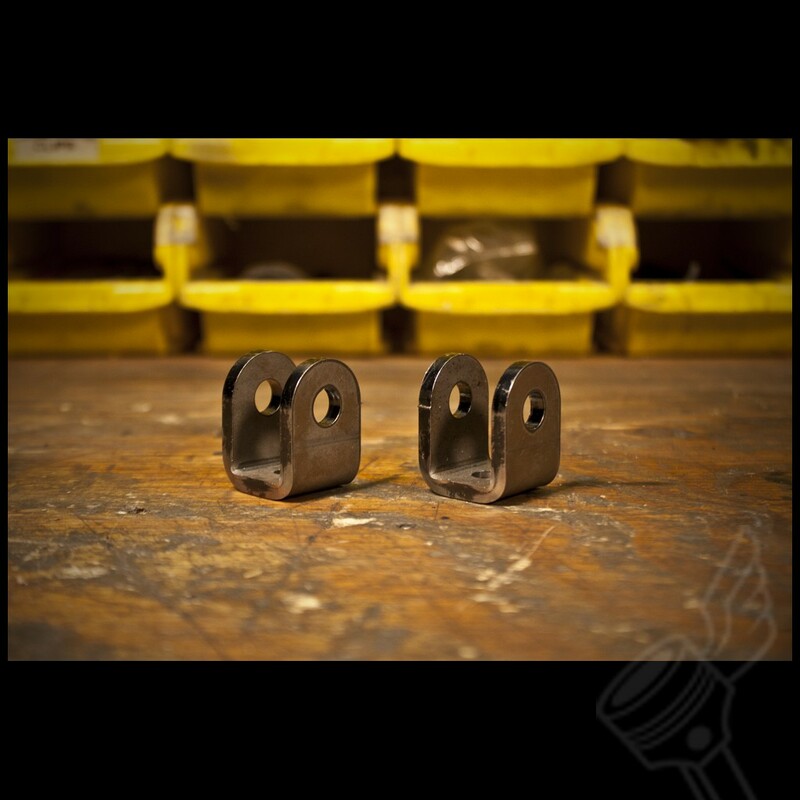 One or two of the engine mounting points match. 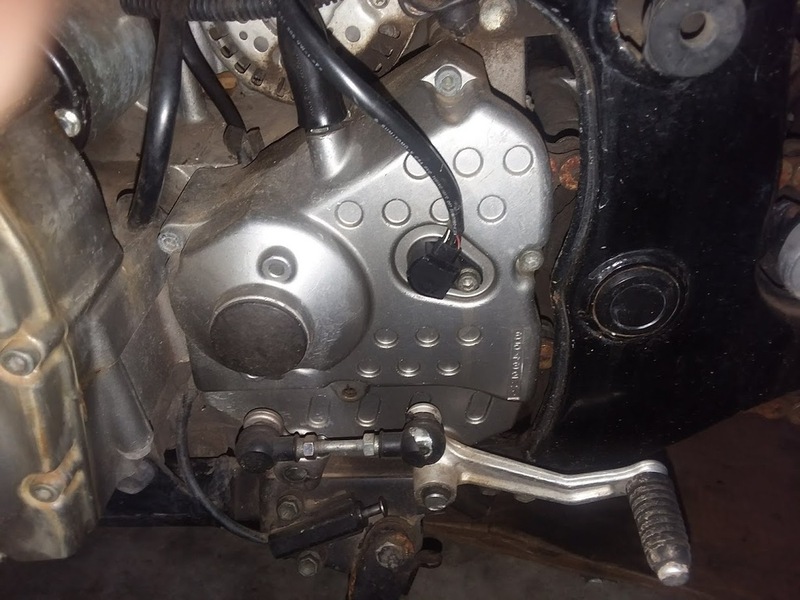 If you mount the engine rearward in the frame, that helps with chain and sprocket alignment and clearance at the swing arm, but would cause the exhaust to hit the frame before you could attach it to the head. There is a company that makes spigots to take up the difference. Mounting the engine to the front allows the exhaust to clear, but then chain clearance at the swingarm pivot isn't optimal. I plan on mounting it towards the rear. Finished stripping the frame and pulling the suspension this morning. The LH clip on was bent and the upper triple clamp must have taken a whack at that time. The bolt snapped off when I tried to get it out. There are 4 big holes in the upper triple for the clip-on mount. I want to run handle bars anyway. I know the Bandit 600 uses 41mm forks. 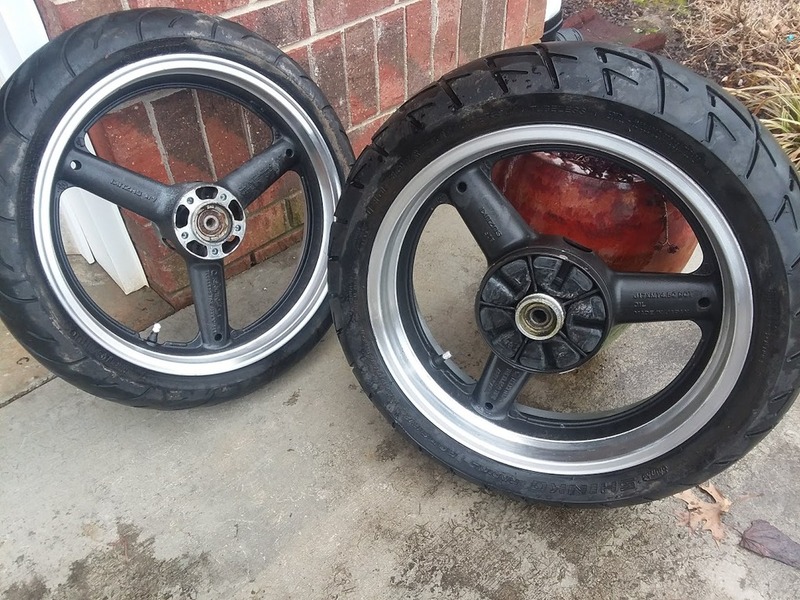 Does anyone know if the Bandit triple and GSX-F triples are the same width, offset, etc? Can I get just the Bandit top triple or will I need the whole triple tree? Alternatively, any other top triple that fits the 750 and can be drilled for handle bar risers? Bandit triple showed up. The Good News: It's the same offset as the Katana. The Bad News: Someone took a grinder/cut off wheel to the security studs on the ignition mount. Broken off bolts and ground down bosses. This is no good to me like this (unless I do a relocated ignition switch). Pulled the brakes out for a once over, since the fronts were dragging so bad the wheel would hardly move and the rear was inoperable. Fronts were just standard, dirty, dry, old crap. I could rebuild them but found two good used calipers for less than the cost of one rebuild kit. The rear? Whoo, boy. 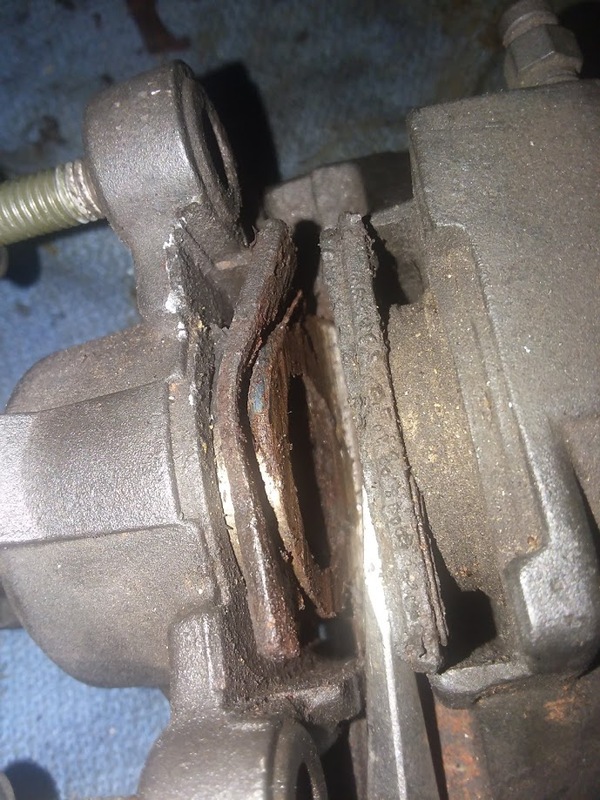 Someone had worn through the friction material, through the metal backing plate and started MELTING the piston by using it directly on the rotor! The P.O. had purchased a new Galfer rear disc and a set of pads. 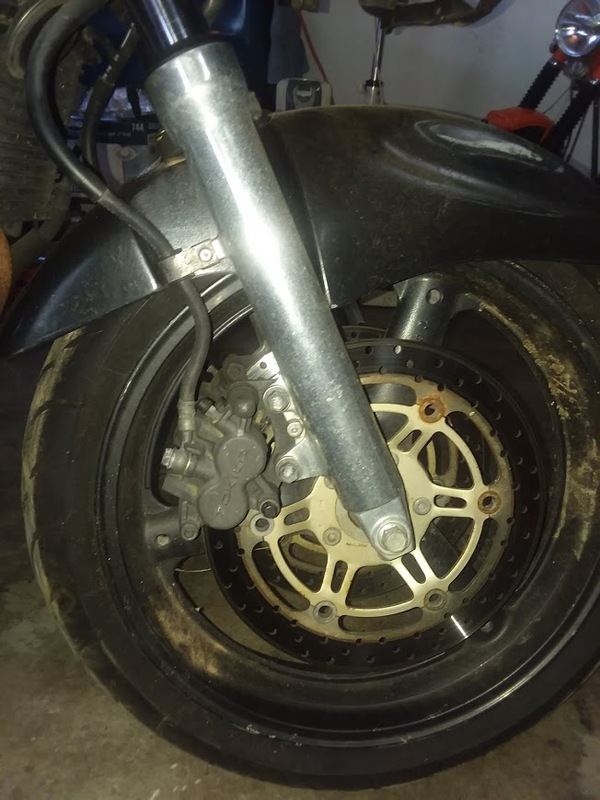 I found a good used rear caliper for $17 shipped. That oughta fix it. Roofchop and tntmo like this. Tried stripping the old paint off the lips using lacquer thinner and a Skotch Brite pad but, whatever it was, it was tough. But it was no match for Klean Strip paint stripper! TonyKZ1 and tntmo like this. Slow going on this one, but getting some research done and making baby steps. 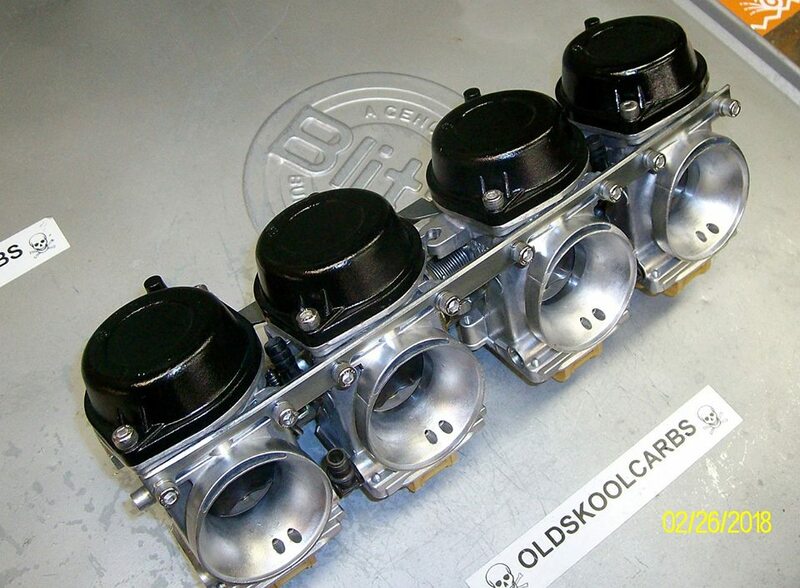 Rick at OldSkoolCarbs took care of the '95 GSX-F carbs for me. 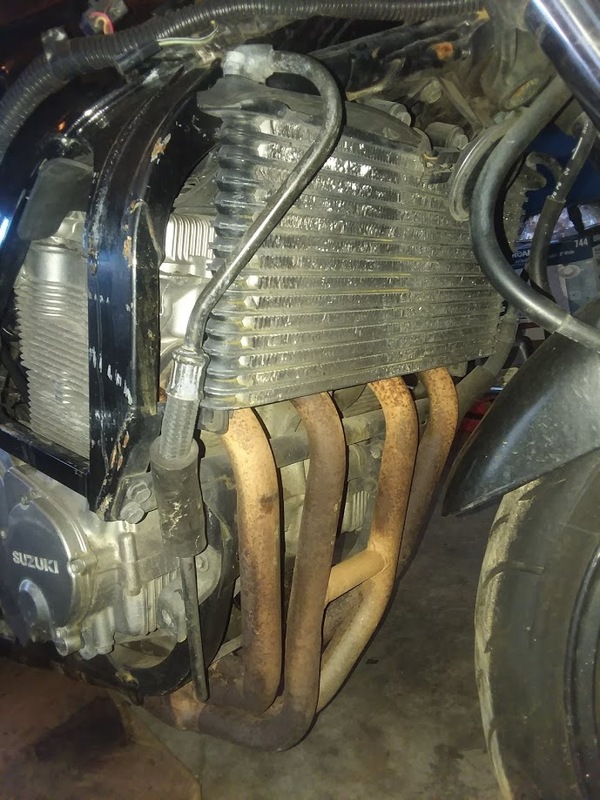 He found a few bent and rotten choke parts and will also assist with jetting for the pods when the time comes (this build, with the GS550 frame, doesn't allow for the stock air box and these carbs are supposed to play better with pods than the '00 models). 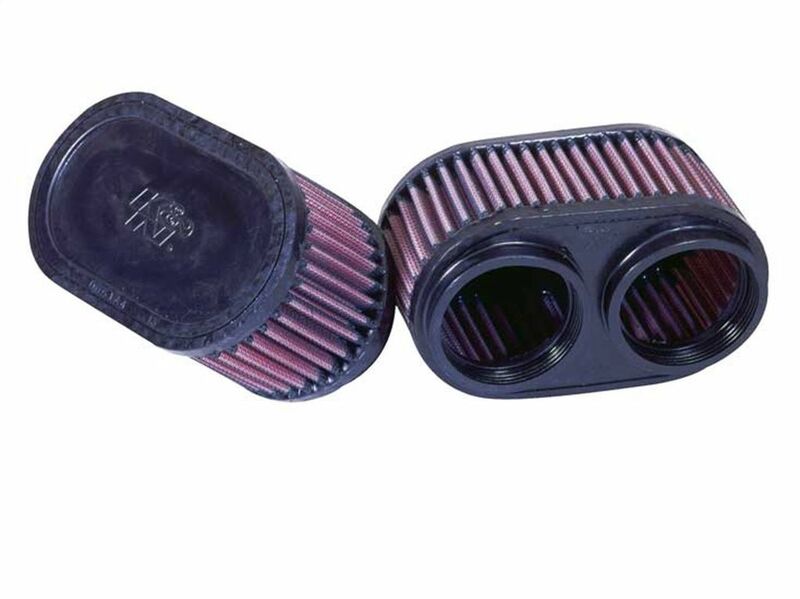 I plan on using the K&N dual intake filters. I believe that RU-2922 is the part I need. 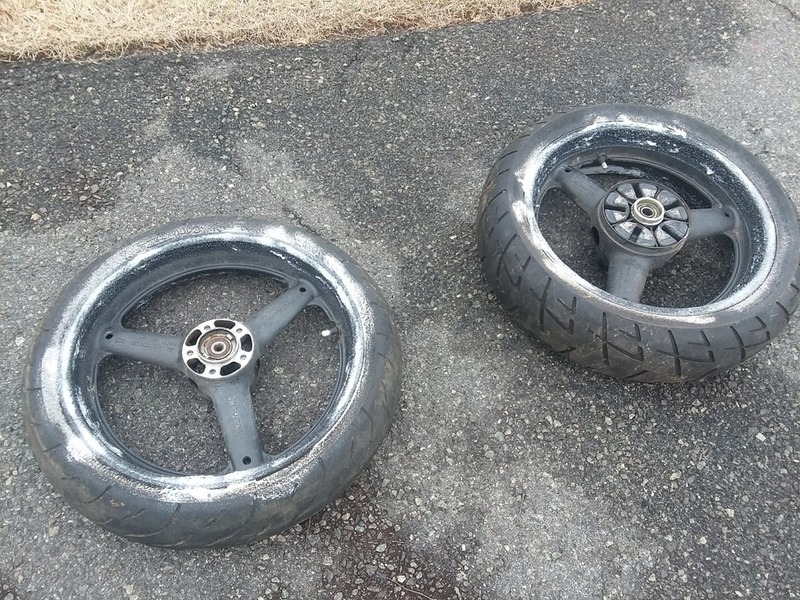 1 wheel peel, Ironforge and TonyKZ1 like this. Also figured out the front end/triple tree. The 1980 GS550 used tapered bearings and the 2000 GSX-F uses caged bearings. I used the GSX 750 lower triple, a top triple from a same year 600, and bar risers from a Bandit 600. 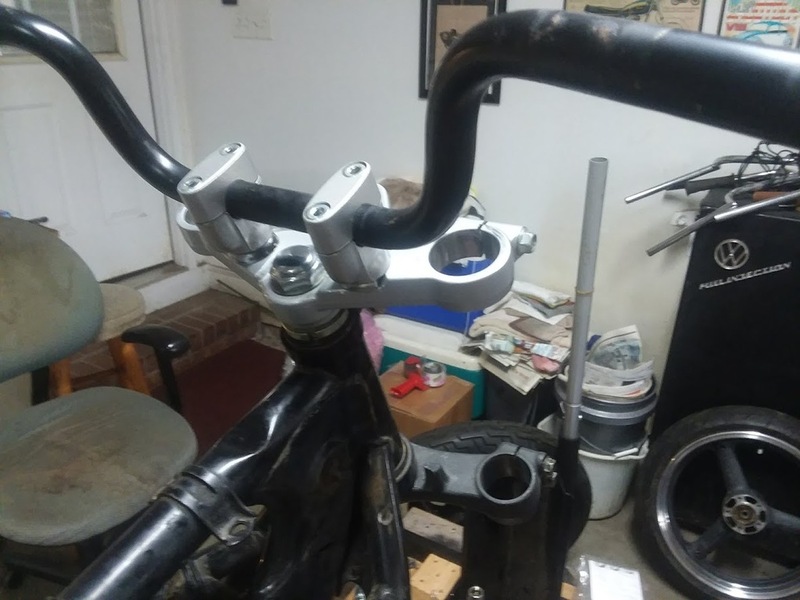 My Dad did a little grinding and modifying, and I ordered new tapered bearings from AllBalls, and now I have a '00 front end, forks, wheel and brakes on an '80 GS550 and still retain the handlebars. Ignore the tall bars....they're just for mock up and pushing it around the garage. Next up is to rebuild the forks and brakes and do a little detailing. We also have a pretty good plan on getting the Katana swingarm to fit. 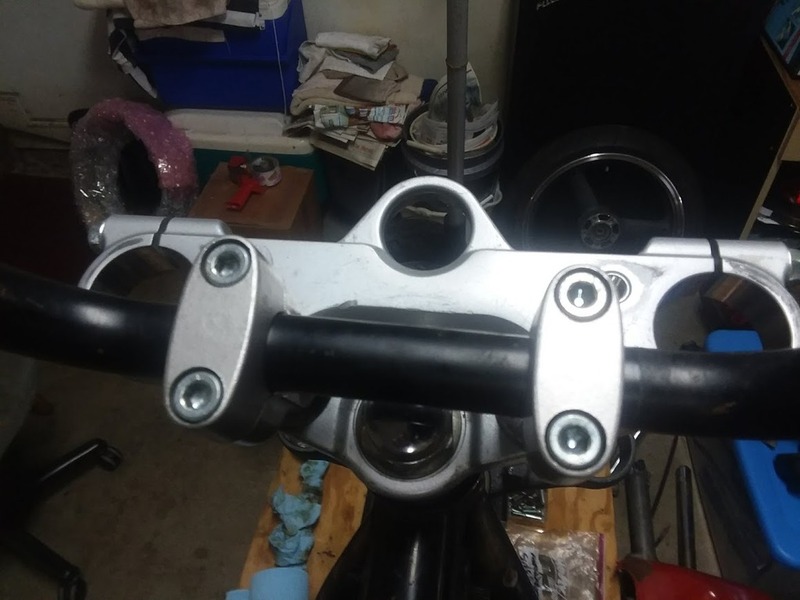 Found a set of clevis mounts for about $20 shipped. That will make going to dual shocks so easy. Hope to work on getting the swing arm fitted next week.